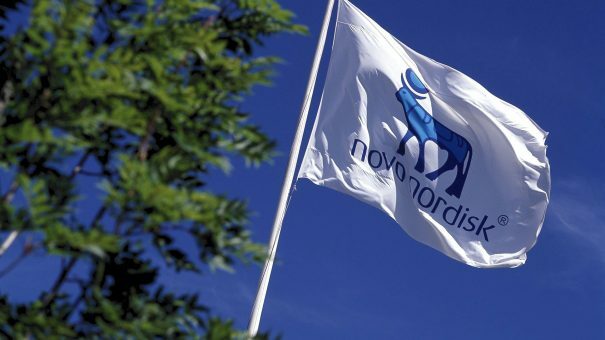 Novo Nordisk’s late stage diabetes candidate semaglutide has scored another victory, outperforming Eli Lilly’s Trulicity in controlling glucose levels and body weight. The phase 3 trial success over Lilly’s Trulicity (dulaglutide), an already-marketed GLP-1 class rival, further bolsters semaglutide’s profile ahead of its anticipated approval later this year as a once weekly injection. The latest data is important as it shows semaglutide to be superior to what will be its biggest rival amongst once-weekly GLP-1 products. The drug will need all the efficacy data it can muster, as US payers in particular are driving down prices, and are less willing to pay for incrementally better insulin and diabetes treatments. Novo’s Victoza (liraglutide) daily GLP-1 is already well established and the company hopes to build on its success with semaglutide and its more convenient weekly dosing schedule. Novo is also developing semaglutide in a patient-friendly pill form. Launched in 2015, Trulicity is making an impact in the competitive GLP-1 market, much of its appeal derived from it more convenient weekly injection, rather than the daily jab needed for Victoza. Full year sales for Trulicity in 2016 were approaching $1 billion, compared with just over $3 billion for Victoza. The 40-week SUSTAIN 7 trial investigated the efficacy and safety of 0.5 mg semaglutide compared with 0.75 dulaglutide and 1.0 mg semaglutide compared with 1.5 mg dulaglutide, when added to metformin. From a mean baseline HbA1c of 8.2%, 0.5 mg semaglutide achieved a statistically significant and superior reduction of 1.5% compared with a reduction of 1.1% with 0.75 mg dulaglutide. People treated with 1.0 mg semaglutide experienced a statistically significant and superior reduction of 1.8% compared with a reduction of 1.4% with 1.5 mg dulaglutide. Using the American Diabetes Association (ADA) treatment target of HbA1c below or equal to 7.0%, 69% of people treated with 0.5 mg semaglutide compared with 52% of people treated with 0.75 mg dulaglutide reached the treatment goal, and 79% of people treated with 1.0 mg semaglutide compared to 68% with 1.5 mg dulaglutide reached the treatment goal. Semaglutide also beat Trulicity when measured against the tougher American Association of Clinical Endocrinologists blood sugar target of HBA1c below or equal to 6.5%. Results showed 51% of people treated with 0.5mg semaglutide compared with 36% of those treated with 0.75mg dulaglutide reached the treatment goal, and 68% of people on the 1mg semaglutide dose achieved this target compared with 49% on the 1.5mg dulaglutide dose. From a mean baseline body weight of 95 kg and a BMI of 33.5 kg/m2, people treated with 0.5 mg semaglutide experienced a statistically significant and superior weight loss of 4.6 kg compared to 2.3 kg with 0.75 mg dulaglutide. People treated with 1.0 mg semaglutide experienced a statistically significant and superior weight loss of 6.5 kg compared to 3.0 kg with 1.5 mg dulaglutide. Novo said 44% of people treated with 0.5 mg semaglutide compared with 23% of people treated with 0.75 mg dulaglutide achieved more or equal to 5% body weight loss and 63% of people with 1.0 mg semaglutide compared with 30% of people treated with 1.5 mg dulaglutide. The most common adverse event for both semaglutide dosages was mild to moderate nausea, which was overall comparable to dulaglutide and diminished over time. While these data were encouraging, there is an increasing shift towards cardiovascular outcomes, but this latest SUSTAIN data doesn’t extend to a comparison between the drugs on these terms.